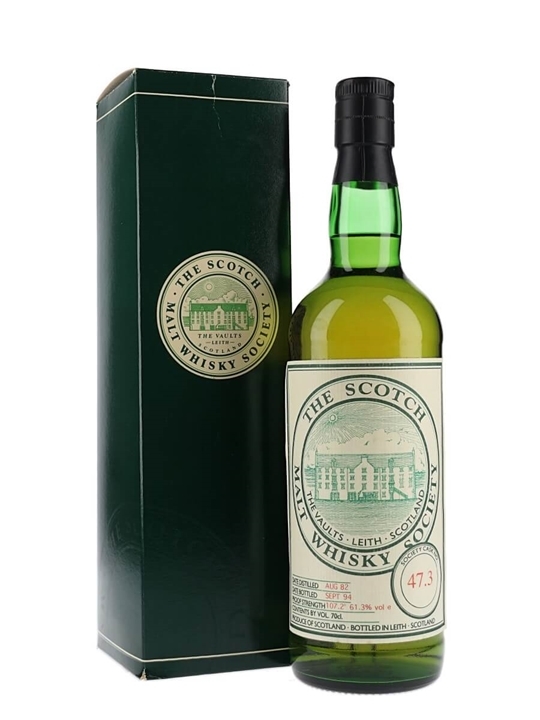 70cl / 61.3% / Scotch Malt Whisky Society – The 3rd cask of Benromach bottled by The Scotch Malt Whisky Society. This was an interesting time for the distillery. Distilled under the ownership of United Distillers (later to become Diageo), a year before the distillery was mothballed, and bottled a year after new owners Gordon & Macphail had bought it, but three years before it reopened.